4A Games has previously confirmed that Metro Exodus’ playtime matches that of Metro 2033 and Metro: Last Light combined. In an interview with Metro’s GameCentral, Executive Producer Jon Bloch, offered more insight as to why Exodus is more extensive than its predecessors. Apparently, the script is beefier this time around. Our script this time is larger than both 2033 and Last Light and all the DLC combined. We allow players to play through guns blazing and running through the environment, but we try to encourage the more careful, thoughtful approach–absorbing the world, the story, the atmosphere. Choice and consequence play a massive part in the script’s length. 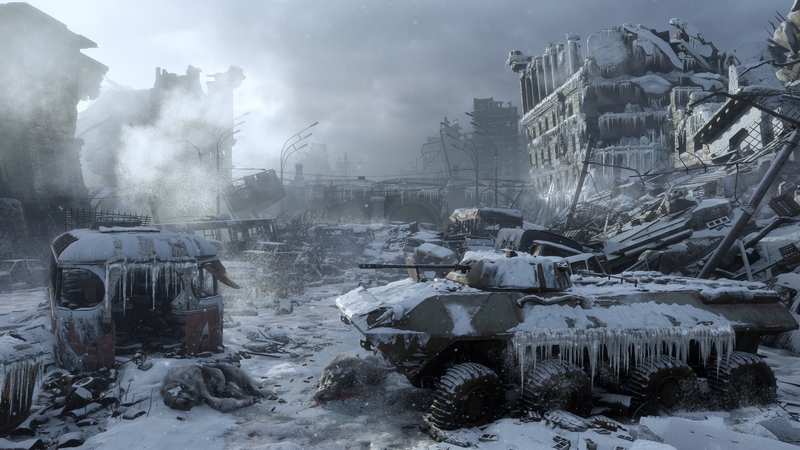 Early in the interview, Bloch said players should expect Metro Exodus to “react” to the behavior they choose Artyom to partake in. The game certainly encourages you to take a more careful, stealthy approach to scenarios. But the game also does react to how the players play the game. We want players to step into the shoes of Artyom and really define his personality through their actions and choices as they play. Exodus will react to the player as well and there are more opportunities along the journey where players will see that reaction and the consequences to their actions. We want players to have choices in how they play it and how they approach situations. In previous games there’s a lot of themes of morality intertwined with the stories. So it’s who you are as a person and who we are as human beings, particularly in this post-apocalyptic world. And how your choices, whether they’re large choices or small choices, they all have consequences. Story isn’t the sole reason for Metro Exodus‘ considerable length, either. 4A Games has also widened the world, abandoning the franchise’s linearity in favor of “miniature open worlds.” While it’s not an open world game, the larger areas do allow for deeper exploration. Some of these areas feature in the E3 2018 trailer. Metro Exodus arrives early next year on February 22, 2019.